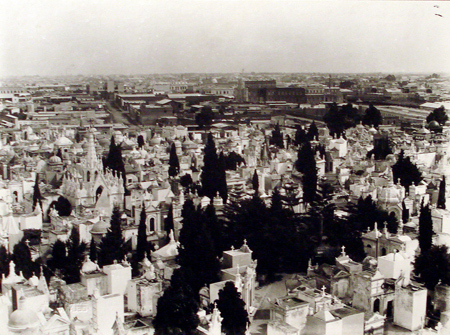 The Cementerio Alemán opened along with its neighbor, the British Cemetery, in 1892. 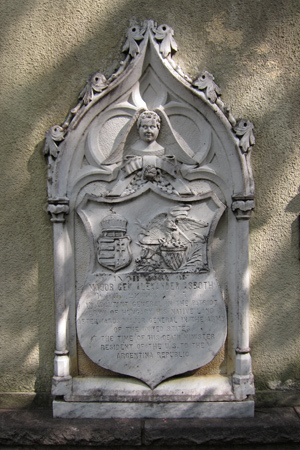 German Protestants had the same difficulty as other non-Catholic immigrant groups in finding a suitable place for burials. Hungarian architect Juan Kronfuss designed the entrance in 1926, & the chapel contains extraordinary stained glass windows from Franz Mayer in Munich. The greenery & perfectly manicured plots make for a nice break from the hectic vibe of Chacarita. 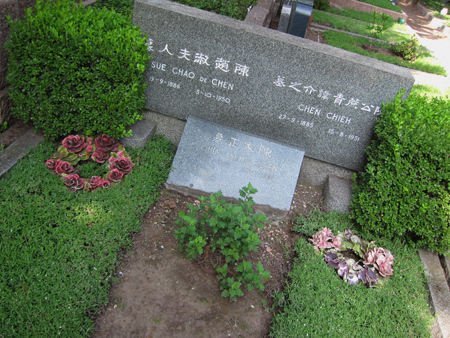 One of its most famous graves belongs to Capt. 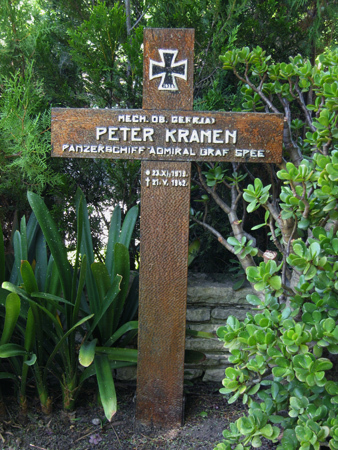 Hans Wilhelm Langsdorff, commander of the armored vessel Admiral Graf Spee. 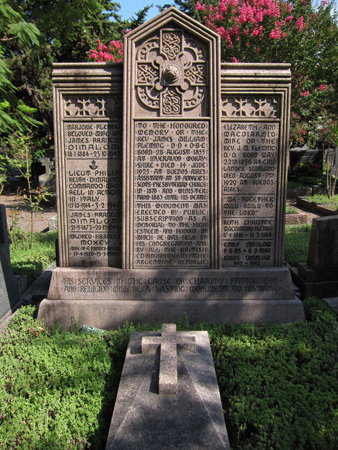 Damaged in the 1939 Battle of the River Plate off the coast of Montevideo, Langsdorff scuttled the ship & his crew were taken prisoner. 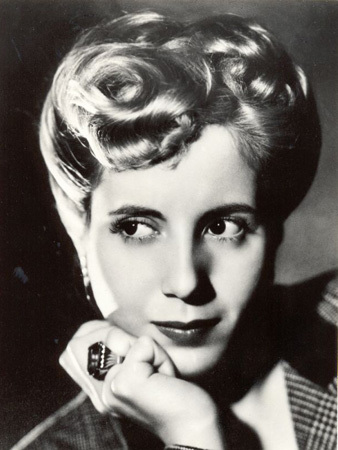 Transferred to Buenos Aires, Langsdorff committed suicide two days later. 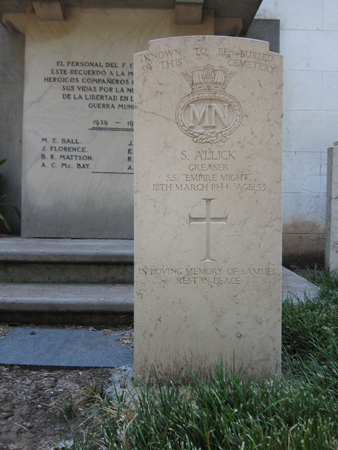 Some of the crew passed away—waiting out the end of the war in either Argentina or Uruguay—& are also buried here. 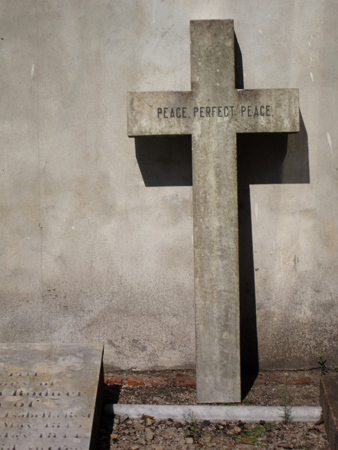 The crew of the Graf Spee are not the only Nazis interred there. 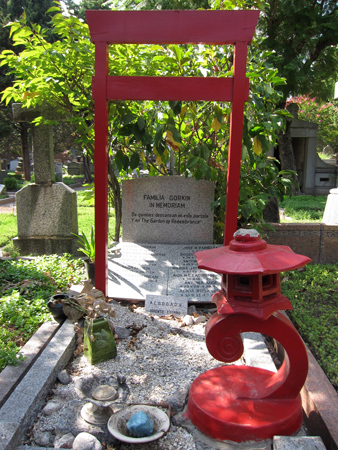 Rodolfo Freude formed part of Perón’s secret service & is thought to have been one of the organizers behind ODESSA. 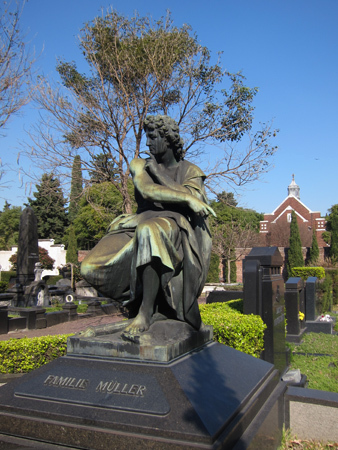 He died in 2003, & the full story of bringing Nazis & Nazi wealth into Argentina may have died with him. 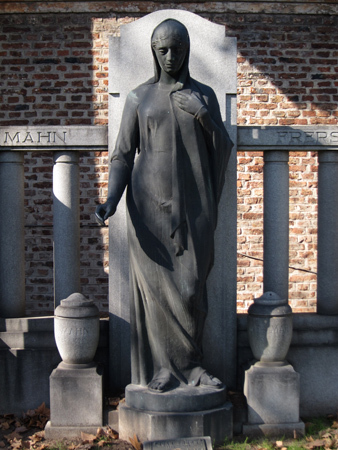 Architect Carlos (Karl) Nordmann designed the Legislature of the city of La Plata, along with its museum & other fine works throughout the country. 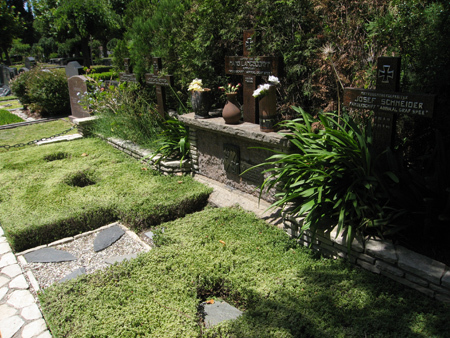 Although sharing the same gigantic plot of land as Chacarita Cemetery, walls separate the Cementerio Alemán from Chacarita. 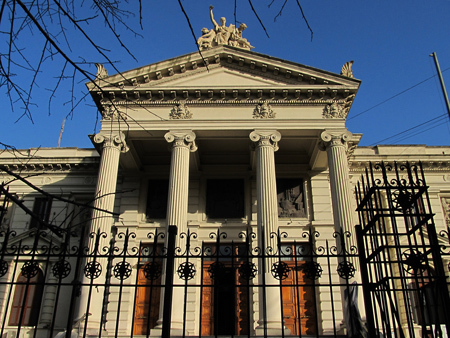 The only entrance is along Avenida El Cano, near the intersection of Avenida del Campo. 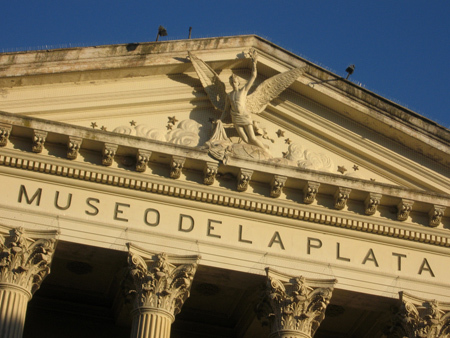 Photo of the Legislatura in La Plata by Marcelo Metayer. Photo taken by Samuel Boote, circa 1885, & part of the Colección Carlos Sánchez Idiart. The entrance gate had just been remodeled by Juan Antonio Buschiazzo four years earlier, so it looks practically new in this photograph. 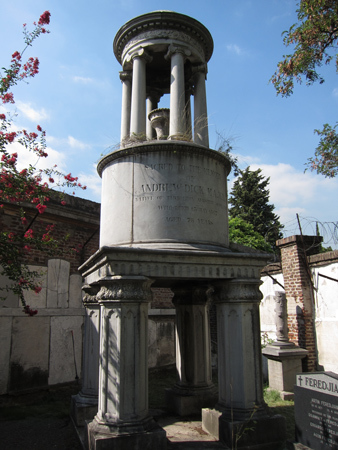 Grottos were all the rage in late 19th century Buenos Aires, so naturally Recoleta had a few for rest & relaxation. A gem of a photo. 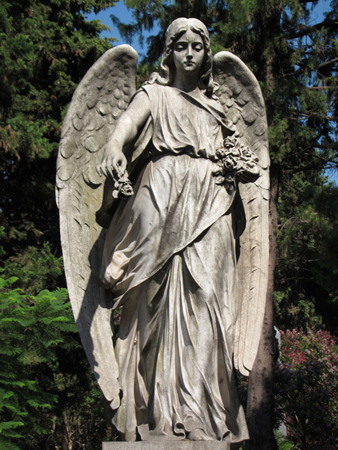 This is one of the most peaceful cemeteries in Buenos Aires & is definitely worth an early morning stroll. 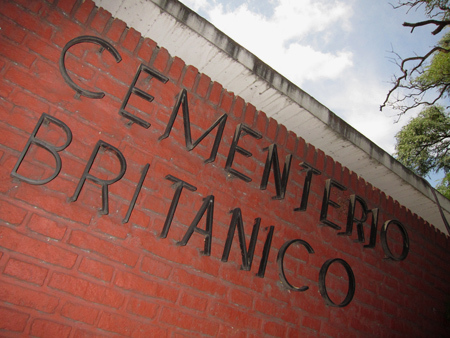 Although sharing the same gigantic plot of land as Chacarita Cemetery, walls separate the Cementerio Británico from Chacarita. 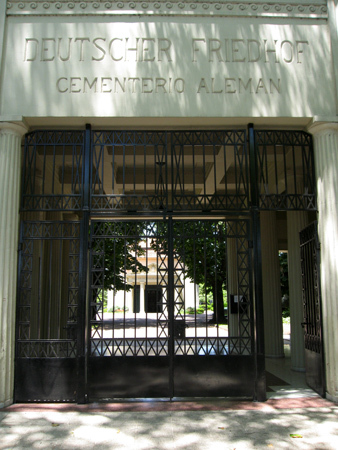 The only entrance is along Avenida El Cano, near the intersection of Avenida del Campo. 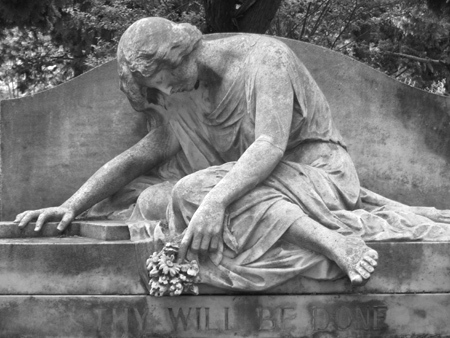 Spanish speakers can find out many more details about the Cementerio Británico on Eduardo Kesting’s thoroughly researched website. 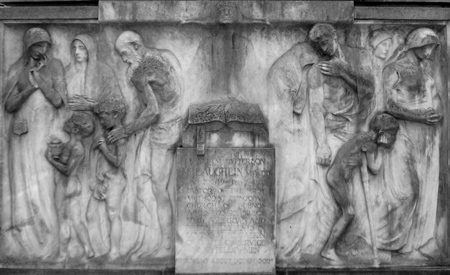 As the importance of trade made Buenos Aires grow, foreign merchants from around the world arrived. So did foreign ministers who recognized the new nation. 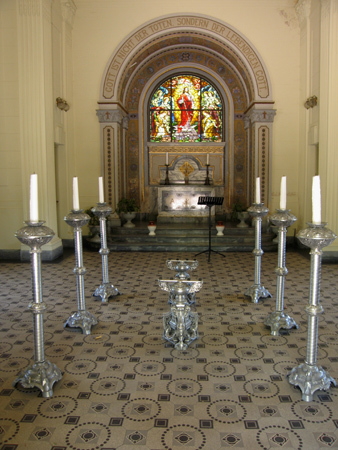 But many of these new arrivals were not Catholic & therefore could not be buried inside local churches. 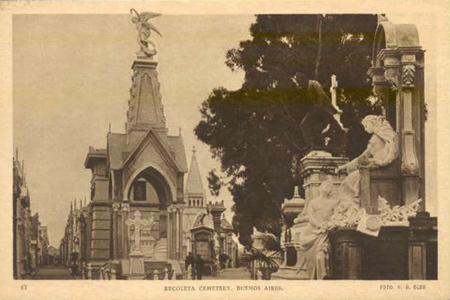 One year prior to the opening of Recoleta Cemetery, Governor Martín Rodríguez granted permission for non-Catholics—disidentes—to share a common burial ground. 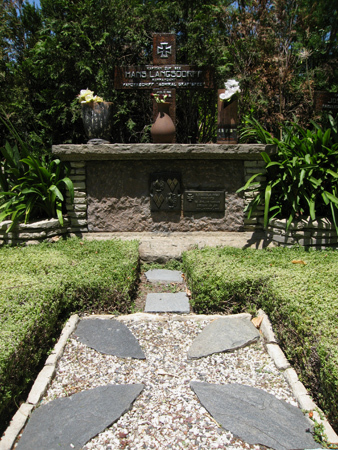 Their first cemetery was located on Calle Juncal, next to the Iglesia del Socorro in Retiro. 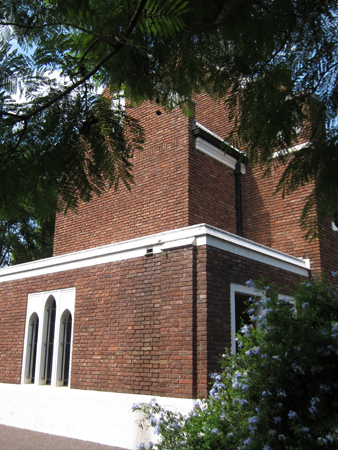 With only 178 plots, it quickly filled to capacity & was closed in 1833. 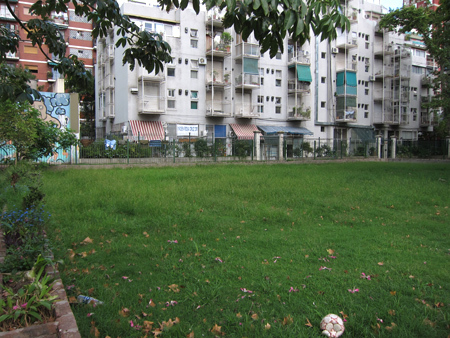 Nothing remains of this cemetery… a high-rise hotel occupies the spot today (#1 on the map above). 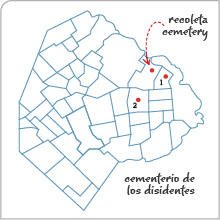 The Rosas government gave the non-Catholic community permission to acquire another piece of land, & the Cementerio Victoria opened in 1833 (#2 on the map above). 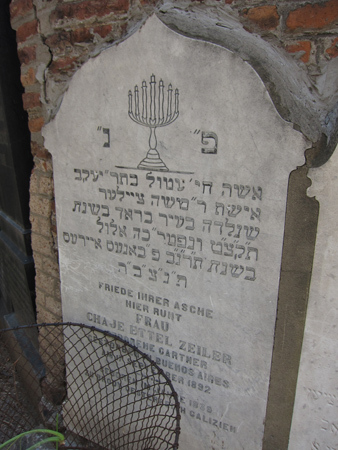 Occupying almost an entire city block in Once, it was divided by nationality & religion into sections: British, German, American & Jewish. 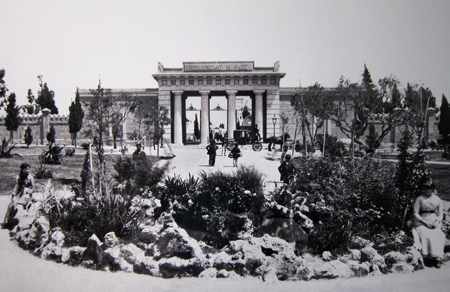 In 1892—59 years after opening—the lot had filled to capacity & the disidentes were on the move again. 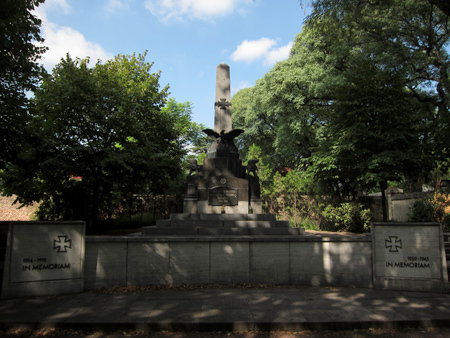 Remember that Chacarita Cemetery opened in 1871 due to a yellow fever outbreak. 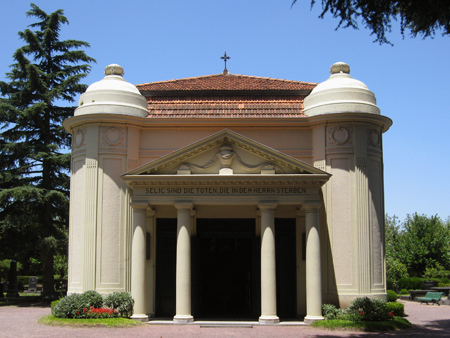 Since the land set aside was so large, a portion was allocated for non-Catholics with the idea that remains from the Cementerio Victoria would be transferred to the new location in Chacarita. 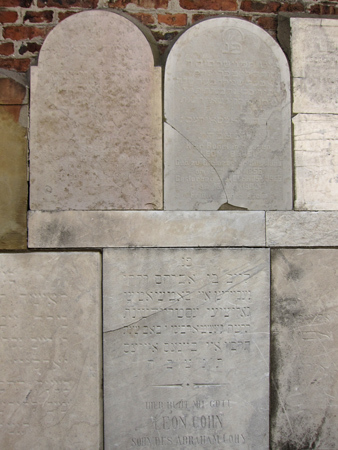 In the end, some funerary monuments & tombstones were moved but most of the remains stayed in Once. 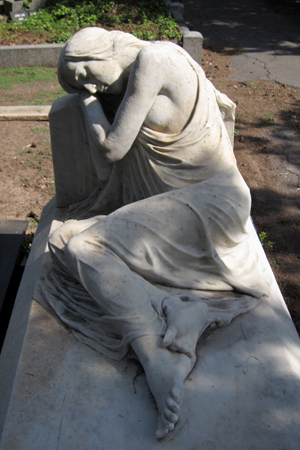 By 1919, the city government wanted to acquire the abandoned cemetery & convert it into a public space. 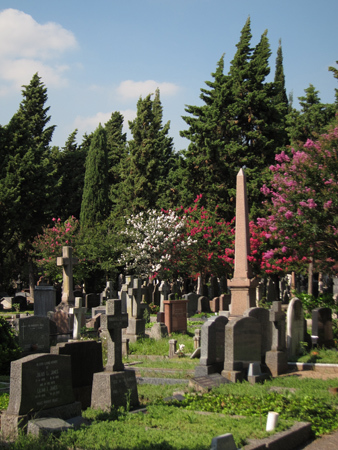 Burials 1.5 m deep did not have to be transferred, provided that their families relinquished all rights to claim their ancestors. 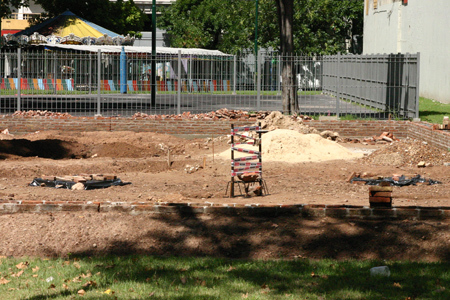 By 1924, 457 transfers were registered & the following year Buenos Aires obtained a new park: Plaza 1º de Mayo. 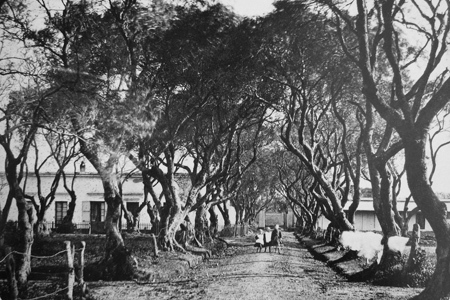 Archival photo taken by Esteban Gonnet, circa 1865. Courtesy of the New York Public Library, Wallach Collection. 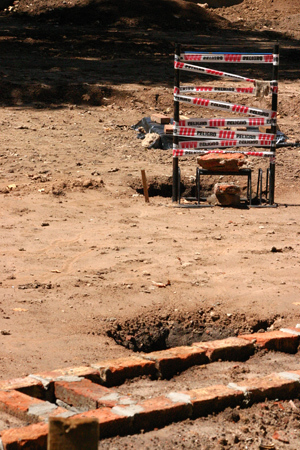 Full text of the findings by archaeologists can be found here (in Spanish). 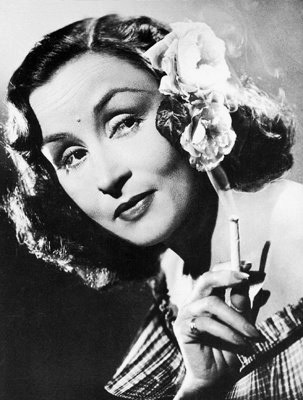 Photo #358 from the Colección Witcomb, date unknown. 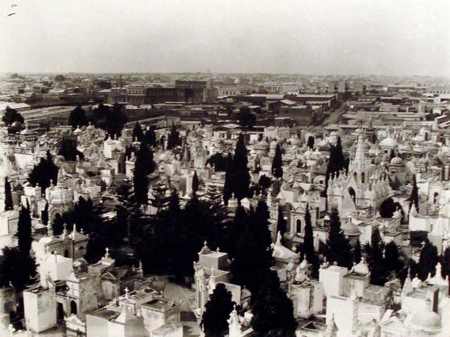 This capture shows the same perspective as another historic photo but much later… judging from the increasingly urban character of Buenos Aires visible towards Calle Azcuénaga in the background. Update (10 Apr 2013): Something always bothered me about this photo. The single landmark I could find for orientation is facing the wrong way. How can that be? And the height from which the photo was taken means the photographer shot from the bell tower of the Iglesia del Pilar… there’s absolutely no other possibility, past or present.